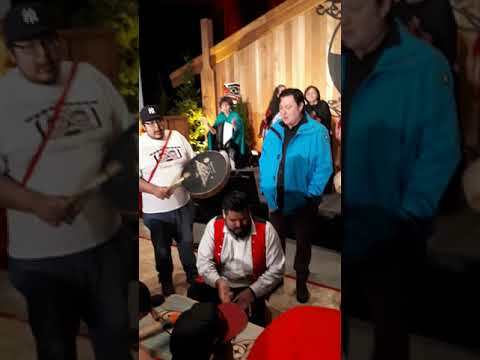 On the first day of court proceedings in a case over aboriginal fishing rights, Nuu-chah-nulth leaders and their region’s MP are calling on Justin Trudeau to honour his commitment to Canada’s Indigenous peoples. Today marks the first of five scheduled days for the B.C. Court of Appeal to hear arguments concerning the scope of how five Nuu-chah-nulth nations can harvest and sell fish from their territorial waters. The appeal is another chapter in the case over how Canada will accomodate the aboriginal rights of the Ahousaht, Ehattesaht/Chinekint, Hesquiaht, Tla-o-qui-aht and Mowachaht/Muchalaht First Nations, which manage the T’aaq-wiihak fisheries on the west coast of Vancouver Island. In 2009 the Supreme Court of Canada declared that the five nations have an aboriginal right to harvest and sell species from their waters. But in a highly sought-after region with declining fish stocks, how this right would be exercised has been caught in stalled negotiations and court appeals ever since. “We need to get to a place where Indigenous peoples in Canada are in control of their own destiny, making their own decisions about their future,” he said in February 2018. On April 19, 2018 the lead T’aaq-wiihak negotiators claimed a legal victory on the same courthouse steps after the B.C. Supreme Court ruled that the federal government had infringed on their aboriginal right to harvest and sell. But in her judgement Justice Mary Humphries also restricted the nations to “a small-scale, artisanal, local, multi-species fishery to be conducted within a nine-mile strip from the shore,” a narrowing of the scope of T’aaq-wiihak fisheries that led the five nations to appeal. “They are now left with a shadow of the right described in 2009,” said Matthew Kirchner, legal counsel for the five nations, in his opening argument before the appeal’s three judges. Kirchner also stressed that it was within the last generation that DFO regulations forced the nations out of the commercial fishery, a role they had previously held throughout British Columbia’s development. During the press conference before the court opened, Ahousaht’s lead negotiator Cliff Atleo referenced a 13-year war that his nation engaged in 200 years ago for the resource that has fed and sustained his people since time immemorial. NTC President Judith Sayers and Vice-president Andrew Callicum speak to the crowd on Monday. Courtenay-Alberni Gord Johns spoke about the federal government's commitment to reconcilitaion.